Looking for tips to identify pure sandalwood powder? With all the benefits that Sandalwood brings, it is no wonder why many counterfeit products are coming out to the open. Sandalwood powder has a variety of uses involving beauty and skincare. It is quite popular as an ingredient in cosmetic products like masks, soaps, creams, facial masks and scrubs meant to remove acne and pimples, soften skin, balance the skin tone, clear up blemishes, and diminish scarring. For many individuals who know the Sandalwood powder’s diverse applications, it is only fitting to know which ones are authentic and pure. Before you simply scrutinize each product you see in the market, it is important to know that Sandalwood is labeled with many names—Chandan, Sandal, Santalum album, Santalum ellipticum, white sandalwood, red sandalwood, yellow sandalwood, East Indian sandalwood, Australian sandalwood, Coast sandalwood, and white saunders. Though some of these actually meant the same thing, some also differ in terms of aroma and texture depending on the region where they’re grown and produced. Of all the sandalwood varieties in the market, three different types are actually being revered by beauty experts for its astounding benefits—Australian sandalwood, Indian sandalwood, and Coast sandalwood. The highest quality of source of sandalwood powder (as well as oil) comes from the Indian variety. They tend to be stronger in terms of aroma and coarser in texture. This type of sandalwood is also endemic in the East side of India and is prolifically sold in various online retail sites. The sandalwood powder (as well as oil) from Australia is known to be a favorite choice among many aromatherapists. Lightly fragrant and not too strong as that of its Indian counterpart, this variety tends to maintain its fragrance for a long time, too. It is, however, more expensive than all other sandalwood powder in the market today. When reading tips to identify pure sandalwood powder, one may rarely see the Coastal sandalwood variety. It is endemic in Hawaii and noted for its strong fragrance. This variety comes highly recommended for aromatherapy and potpourri. Medicinally, it is used to cure STDs. By knowing what type of sandalwood powder variety you are going to buy, you can easily scrutinize its inherent characteristics, aroma and other distinctive qualities. Many users of Sandalwood powder, regardless of variety, know precisely the good apples from the rotten ones. But with advancements in technology some unscrupulous individuals have also amped their misdeeds by generating items identical to pure sandalwood powder in terms of appearance, aromatic profile, and blending capabilities with other essential oils and extracts. Aside from all these, it is also important to note the desired effect of a particular brand when used as treatment. In all things else, if the sandalwood powder being offered is too good to be true, it probably is. One of the most effective tips to identify pure sandalwood powder lies in looking for a reputable seller. Whether you buy online or from brick-and-mortar store, buying authentic and pure sandalwood powder will ensure that you get the best results. Find a reliable seller then that continually being recommended by friends or colleagues. 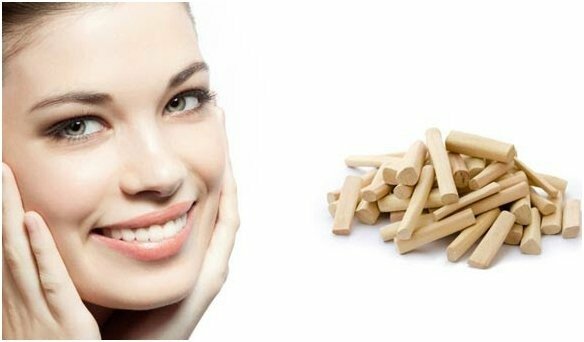 Online forum and reviews from actual buyers like that of Amazon verified buyers program can also help greatly in finding pure sandalwood powder for your skincare use. Looking for authentic sandalwood powder? Check out these tips on how to identify pure sandalwood powder.